File photo. The incident occurred in a rural area outside Kilmallock in Limerick. 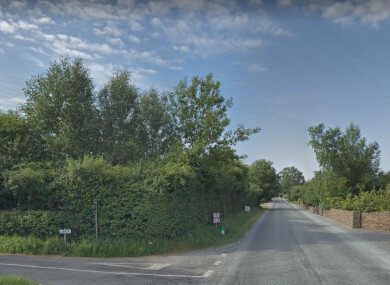 GARDAÍ IN LIMERICK are investigating after a fatal road crash that occurred at Ballycullane in Kilmallock yesterday evening. A male cyclist in his 40s suffered serious injuries when he was involved in a collision with a car at around 8pm. He was taken to Limerick University Hospital where he was pronounced dead a short time later. Gardaí have closed the stretch of road where the crash happened, and it is currently being examined by forensic collision investigators. Anyone who witnessed the incident is urged to call Kilmallock Garda Station on 063 98018, the Garda Confidential Line on 1800 666 111, or any garda station. Email “Cyclist dies following Limerick road crash”. Feedback on “Cyclist dies following Limerick road crash”.